What do archaeological excavations in Annapolis, Maryland, reveal about daily life in the city's history? Considering artifacts such as ceramics, spirit bundles, printer's type, and landscapes, this engaging, generously illustrated, and original study illuminates the lives of the city's residents—walking, seeing, reading, talking, eating, and living together in freedom and in oppression for more than three hundred years. 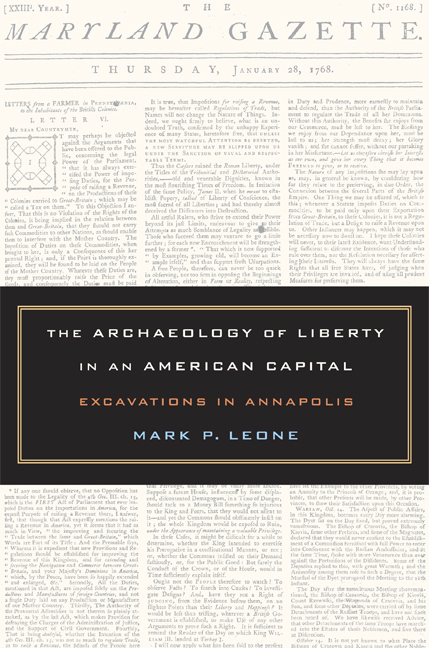 Interpreting the results of one of the most innovative projects in American archaeology, The Archaeology of Liberty in an American Capital speaks powerfully to the struggle for liberty among African Americans and the poor. 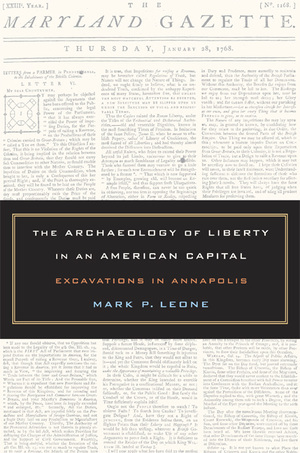 Mark P. Leone is Professor of Anthropology at the University of Maryland, College Park. He is coauthor, with Neil A. Silberman, of Invisible America (1995), and coeditor, with Parker B. Potter, of Recovery of Meaning: Historical Archaeology in the Eastern United States (1988), among other books. 8. What Do We Know?